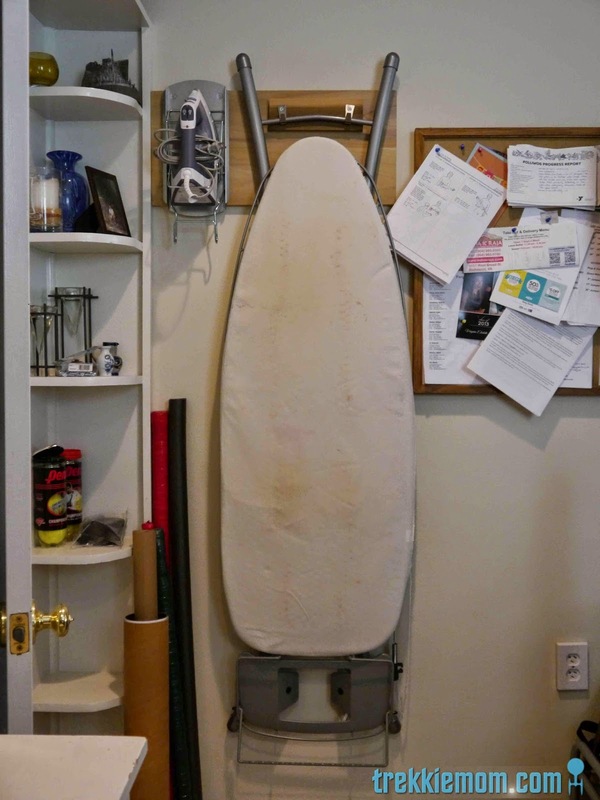 It is sad, but my iron was a fixture on my mantel for years, and more recently my ironing board was a fixture in my family room because putting it 'away' would require time and effort that would need repeating too frequently to bother with doing so. How do you make more storage in a house that already feels full? You make it to fit, of course. Please disregard the hideousness of my ironing board cover. That is a project for another day.